Barbecuing may be the heart of outdoor cooking, but it is just a small part of what you can do with an outdoor kitchen. 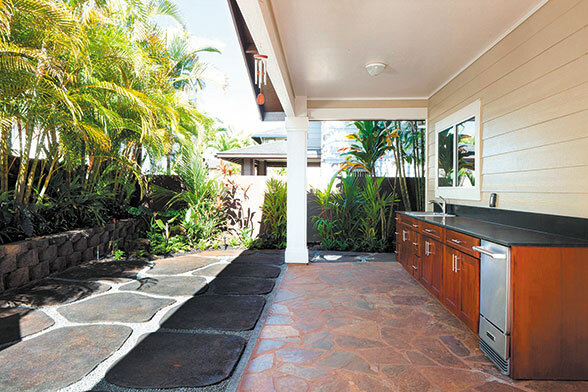 Once a popular trend, outdoor kitchens are coming back into style, especially in Hawaii, where the weather is nice enough to cook outdoors year-round. The architecture of your home is key to designing an outdoor kitchen. The space for the kitchen should be a continuation of your indoor layout and should flow naturally to the outdoors. Movement and flow, especially as they relate to entertaining guests, should be taken into account when creating the floor plan for the kitchen area. Functionality is a key consideration for both the layout and the equipment. At Lanai Scapes, the company can custom design an open-air kitchen for you, including a landscape plan that will enhance the integration and artistry of your outdoor space. For a kitchen that will only be used once in a while, there are portable units that are inexpensive, such as a stainless-steel island that has a barbecue component and a portable serving station. Install a wired portable gas grill that integrates into the design of the outdoor kitchen area. When you remove it, the space can become a bar area. However, if the outdoor kitchen is to be a permanent structure, concrete or other long-lasting materials make sense and are a better investment. Storage is an important consideration as well, and should be incorporated into the design to maximize the usefulness of the space. An outdoor kitchen can range from $1,500 to $30,000 — depending on your needs, how it is laid out and what kind of materials you use. 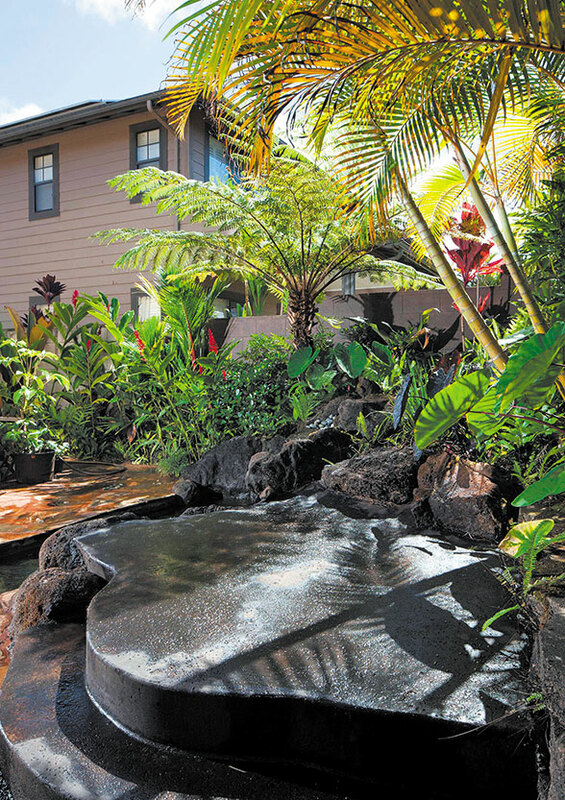 At Lanai Scapes, the company and its team can help you make the best decisions by showing you the practicality as well as the cost of each of the different options.